Jonathan Skrimshire - Pincher Creek Town Council has authorized the expenditure of up to $15,000 to develop a site plan for a potential new recreational facilities complex at their meeting of March 26. The plan will present siting options for a curling rink, skating rink, field house, football field, two soccer fields, and required streets and parking areas, on land east of the Walmart Supercentre. 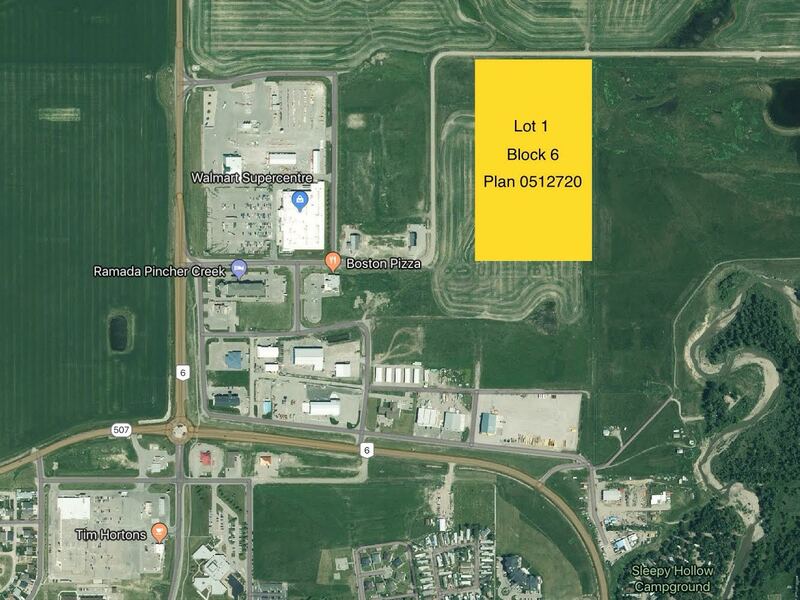 The Town is currently in the final stages of negotiating the purchase of the parcel designated Lot 1, Block 6, Plan 0512720, which would provide adequate land to support the phased development of the proposed facilities. No firm timeline for delivery of the plan or presentation to the public is available at this time. Brilliant idea!!! Ernie olsen began the exodus from downtown allowing Wal-Mart, and while downtown pincher creek withers away, at least there will a vibrant hodgepodge of mediocre hotels, restaurants and stores to drive past while on the way to watch a game in the howling winds. Plus no one visiting will ever have to venture south of the traffic circle. Fact check: Don Anderberg was Mayor when Walmart came to town (2006). Ernie Olsen was actually Owner/Manager of Sobeys, not Mayor.